Frank Viola recently interviewed New Testament scholar Scot McKnight on his book The King Jesus Gospel. I have written recently on 9 aspects of the gospel that go beyond justification or heaven and this interview in a way follows a similar line of thought. The gospel isn’t a “plan” as much as it is a Person. The plan and the Person coincide. John 3:16- the greatest verse? 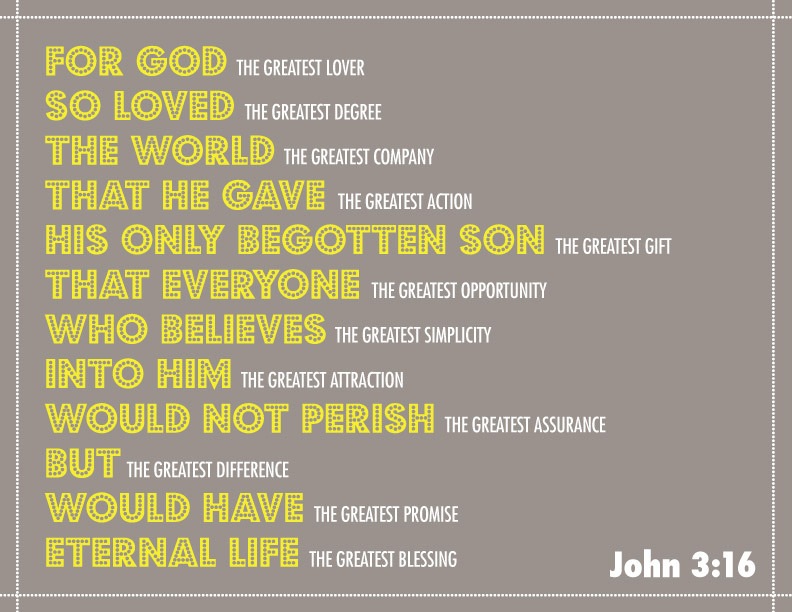 John 3:16, properly understood, may be one of the greatest verses in the Bible. One, two, three, four… five? This depends on a number of things. Primarily, what is the gospel? Who is it for? What does the message of good news include? Of course traditionally we refer to Matthew, Mark, Luke, and John as the four gospels. But Paul seems to consider his message in the book of Romans as the gospel too, although in another sense. So, for my part, I am ready to announce the gospel to you also who are in Rome. To all who are in Rome, beloved of God, the called saints: Grace to you and peace from God our Father and the Lord Jesus Christ. Paul is saying that he is ready to announce the gospel to already believing Christians in Rome! Paul is saying that even the Christians need the gospel. Not in a New Calvinist kind of way, but the gospel in its entirety with its proper focus. The most basic definition of the gospel is the good news. The traditional four Gospels are packed with good news. That good news however is largely focused on man’s benefit—his salvation, rescue from eternal damnation, and restoration to a proper humanity. This is certainly good news. But this is admittedly shy of God’s eternal purpose. Thus, Paul in Romans lets us know that there is much more good news. This is ultimately good news to God, because in the working out of this gospel God is the principal beneficiary. The four Gospels all end with “the death of His Son” resulting in our reconciliation to God and with His subsequent resurrection as the receipt or proof our justification (Rom 4:25). They zoom in on the three and a half years of Christ’s life and ministry on earth which culminated in the cross. They are four distinct but harmonious biographies of the God-man Jesus. But Paul is here to tell us that there is something “much more.” This implies that if you don’t know this gospel, Paul’s gospel, than you know much less than the totality of the good news. The gospel in Romans concerns God’s purpose (Rom 8:28-29), God’s will (Rom 12:2), and God’s mysterious economy (Rom 16:25, Eph 3:9). God’s purpose is to produce many glorified sons that Christ might be the Firstborn among many brothers. God’s will is to obtain the Body of Christ with many members. God’s economy is to mysteriously work Himself in Christ as the Spirit of life into the spirit, soul, and body of His believers for His manifold expression. Actually the word gospel shows up more times in Romans than in any other book in the New Testament (totaling 9 times as a noun, a few more as a verb including verse 15 above). 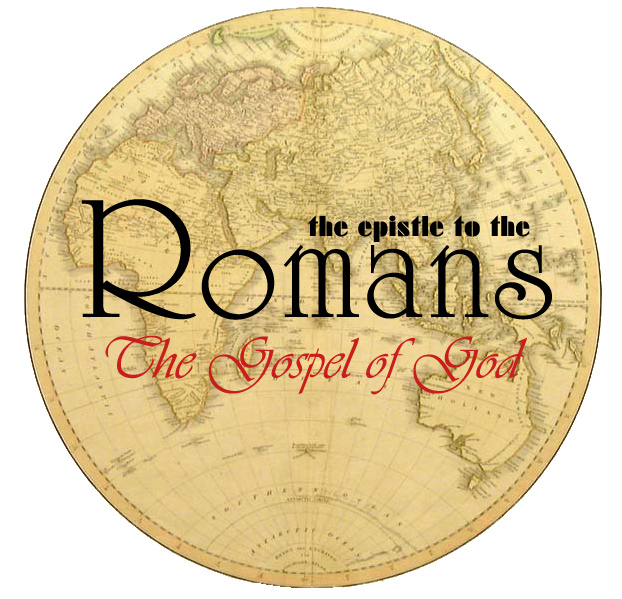 In this sense then, Romans is the fifth gospel. The gospel of God is an all-inclusive unveiling of God’s full counsel concerning His good pleasure, His will, His purpose, and His economy. This is presented to humanity as a proclamation, as an official announcement made by a herald who has the responsibility to proclaim under official sanction this tremendous announcement. 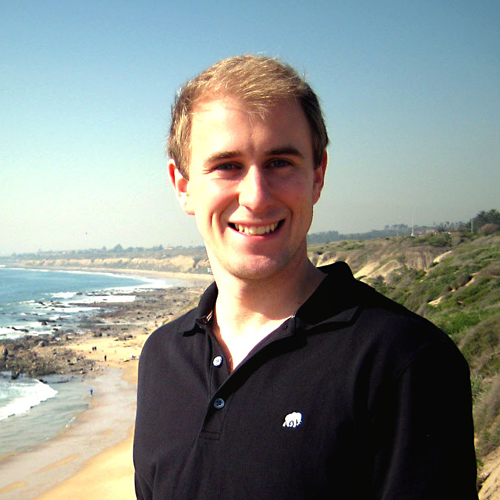 How is the gospel good news for God? The gospel is good news for God in that through it His eternal purpose to gain the Body of Christ and the kingdom of God is realized and His enemy Satan is crushed (Rom 12:5, 14:17, 16:20). Next time you are out preaching the gospel then, and someone says, “Oh yes, I’m already a Christian” why not do what Paul did and announce the gospel anyway, for God’s sake?